By Zack Quaintance — This is one of those great months when the strong majority of our picks for the Top 5 Best Comics are creator-owned. This time around, it’s actually four out of five. And what a fantastic crop of creator-owned titles they are, running the gamut from the start of their runs (Die) to the middle (Wasted Space) to nearer to the end (Monstress). 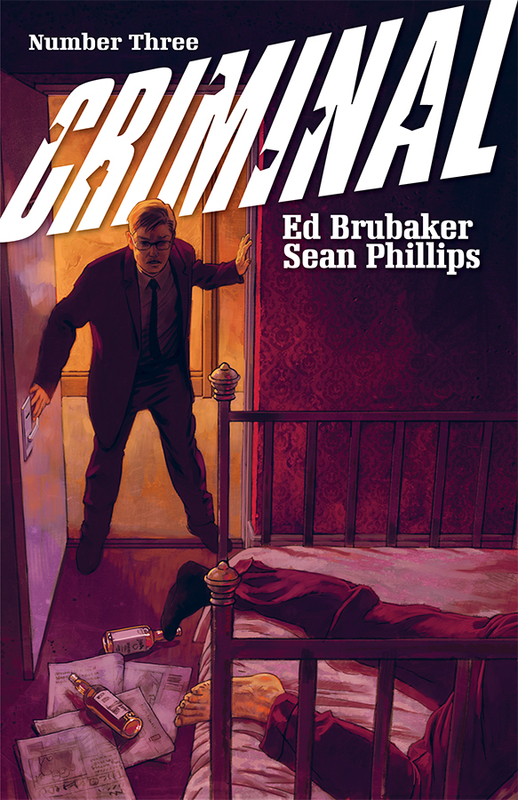 Plus also, Criminal #3 might end up being the second part of an arc considered an all-time classic. Yes indeed, it was another great month for comics. So much so that I contemplated expanding the Top 5 to a Top 6 and bumping up the Shout Outs section from 10 to like 23. I exercised restraint though, so what you’ll find below is an all killer no filler list of the Best Comics of March 2019. I read the issue, attended like 18 panels about Batman’s 80th birthday last weekend at WonderCon, and I even ranked the stories in Detective Comics #1000 (read our full review). I think I’m out of things to say about it at this point. I probably have about a million more things I could say when it comes to Ice Cream Man #11, which is another total shift in narrative from recent issues, but fantastic nonetheless, this time working to aggressively skew celebrity culture. I’ve long though that Steve Orlando is one of DC Comics’ most interesting writers, and this month he really showcased why with Martian Manhunter #4 and Electric Warriors #5. These are very different comics that payoff readers with thematic explorations and giant crazy twists, respectively. 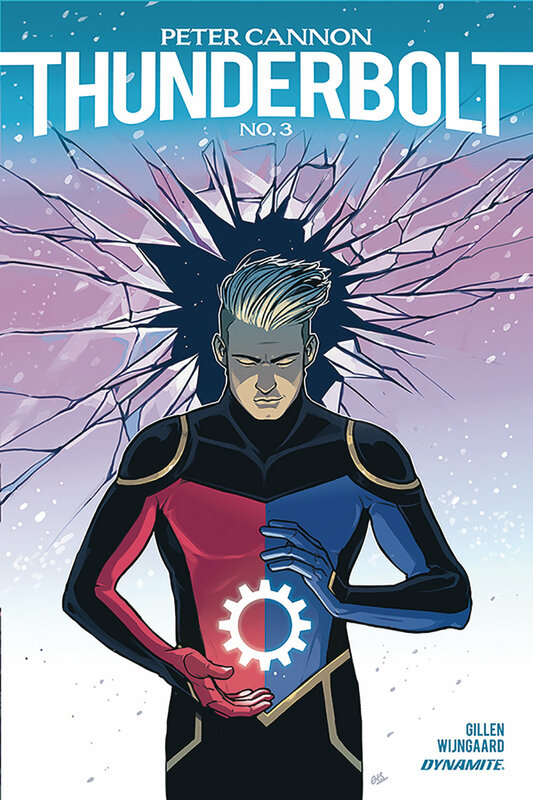 Elsewhere, Peter Cannon: Thunderbolt #3 continues to be a tour de force in meta comicbook storytelling, one that anyone who appreciates Watchmen on any level should be reading. I think the most rapidly-evolving book coming out right now is Self/Made #4, which continues to make a giant leap each month to a surprising let totally sensical new philosophical place, with this month’s maybe being the very nature of human consciousness. Snotgirl #13 is rich with commentary too, although of an entirely different sort. It’s a wickedly funny takedown of surface-based LA culture, and this month it sets its sights on pop-ups, which I have personally found annoying for some time (yes, I’m grumpy). And this hadn’t occured to me until right now, but an interesting companion piece to that is Friendo #5 (read our full review), in which late model capitalism is extended to a ghoulish extreme. How delightfully horrifying this book is when given the careful thought it warrants. Although the artwork in Age of X-Man: The X-Tremists #2 left something to be desired, writer Leah Williams turned in what I thought was one of the most interesting scripts I’ve read in a superhero comic all year. This book about repressed horny cops, it turns out, is actually a deep romance. Still, the best X-Men book on the market this month is not an X-Men book at all, with that honor going squarely to Livewire #4. This is a must-read superhero comic up there with the likes of The Green Lantern and Immortal Hulk. Finally, whenever it manages to come out, Doomsday Clock #9 is absolutely stellar. 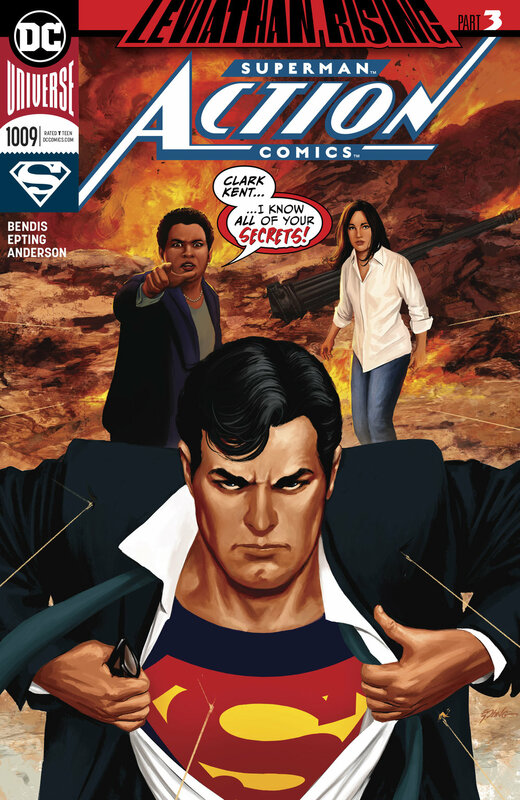 I’m currently in the process of writing something about who (or what) Leviathan might be for a different outlet, so I’m up to my eyeballs in all things Bendis Superman. That said, it’s not a bad place to be. This run is the work of a veteran creator who spent nearly 20 years exclusive writing in one of the superhero universes he grew up with and is now clearly having an absolute blast playing with all the toys in the other. What I’ve really liked about this Leviathan Rising storyline is how many different corners of the DC Universe it’s working hard to pull in, really justifying its place as a world-threatening storyline, which is something I think gets taken for granted these days. This issue really ups the ante, undoing some longtime touchstones of the shady side of the DCU. If Leviathan is still rising here, I can’t wait to see what it all is once it gets to the surface. Let me just start here in explaining this pick by aping some lines directly from my review: Die #4 is a high-mark for a young series that has classic written all over it. This is the best type of new comic, one that tells a long story comprised of several disparate and wholly memorable chapters. Make space up there with Saga and Monstress, Die is quickly becoming one of Image’s best. I stand by all of that and then some. This is one of those rare series that not only has a great concept (those are fairly common these days), but manages to do surprising, fearless, and deeply emotional things with it. Gillen and Hans are wrapping up so many fears about life and the world in this one, and it’s making every last issue a MUST READ as soon as it becomes available, with Die #4 being no exception. 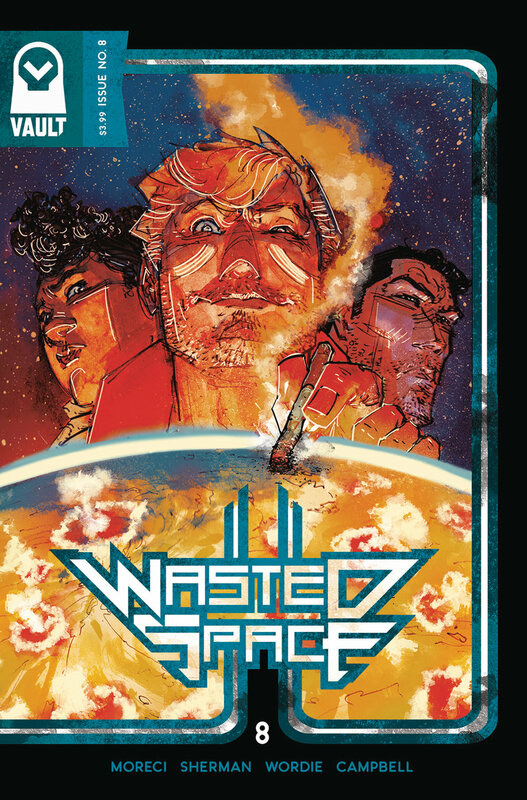 Wasted Space is one of my top five favorite comics right now (see below for two of the others), and this is probably the series best issue yet. Moreci and Sherman are a powerfully-talented creator duo. In this issue, you can really feel them settling into a rare level of confidence, one within which they know exactly what they want to do with this story and how they’re going to do it. Wasted Space #8 really has it all, from humor to a bit of action to all manner of high-minded philosophy. I have a friend who is trade-rating this series. He asked if he should make a point to go out and read this issue ASAP...and look, I don’t want to tell anyone how to live their life, but YES. All told, this is the 19th Best of Whatever Month list I’ve done for this website. I think during 15 or 16 of those months, this issue of Monstress would have been right at the top. It’s really that good. It being here at #2 is really more about our top choice than it is about Monstress, but more on that later. What makes this comic so damn good? Well, it’s almost simple: every panel hits so so so hard, be it the steamy ethereal love sequence that opens this chapter, the revelations for our main character that follow, or the expert simultaneous establishing of a host of new characters along with a whole lot of new exposition (doled out via some unsurprisingly spectacular Sana Takeda designs). This book is a classic fantasy tale of the highest order, and a great example of the complex and rewarding storytelling that comics has to offer these days. In my review of Criminal #3, I called this book a “real comics fan’s comic,” and, to be sure, it’s most definitely that, so rich is it with nods to the past and present of the industry. The whole thing is set within an insider’s perspective and told in a way that only veteran creators like Brubaker and Phillips can. I, however, have in the subsequent weeks thought about this. This is also just a damn good story, even for those who aren’t as familiar with comics. In fact, maybe expanding their familiarity with how the industry has evolved and functioned for years has the potential to make this an even more rewarding read. Whatever the case, I just want to reiterate once again how supremely well done this issue was. A real triumph of the medium and an all-time great two-part story arc, to be sure, do during a time where complete stories of that length are relatively uncommon. It’s all very impressive.